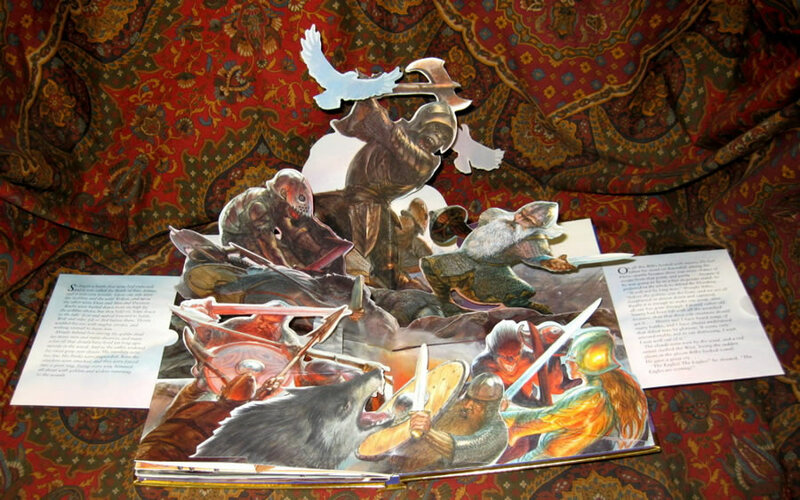 The Hobbit, a 3-D Pop-Up Adventure. From the rear boards, "J.R.R. 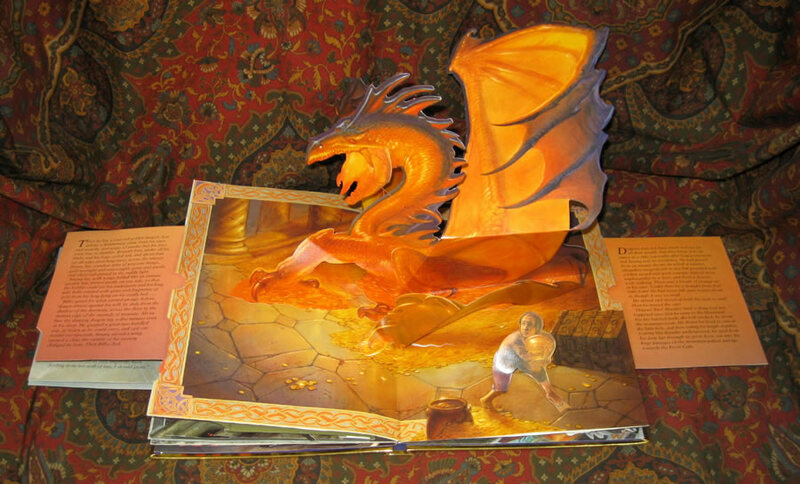 Tolkiens fantastical world of wizards, elves, and dragons magically comes to life in this spectacular three-dimensional book based on The Hobbit. 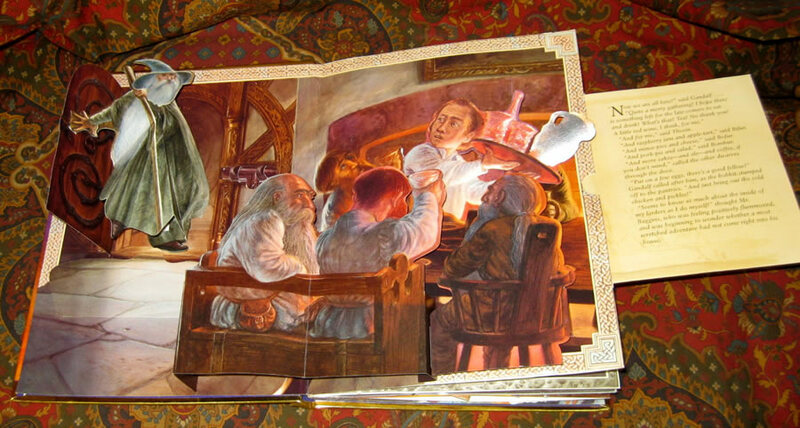 Each page features elaborate pop-up scenes, interactive pull-tabs and secret pull-out scrolls that retell here Bilbo Baggins' incredible adventures. Journey with him through underground perils and spider-infested woods on this unforgettable treasure hunt." 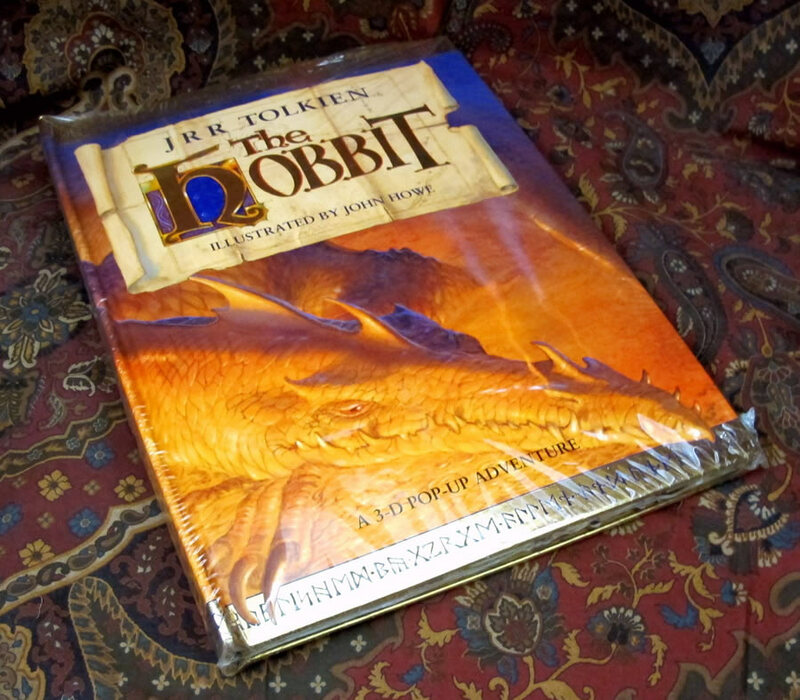 An excellent example of this wonderful edition. 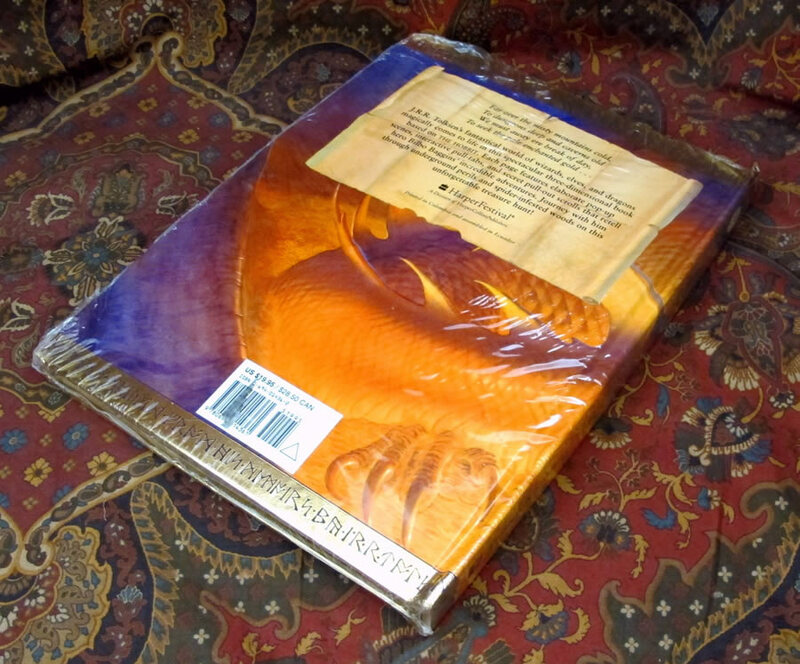 Photos of opened book are from another copy, and are for illustrative purposes only.